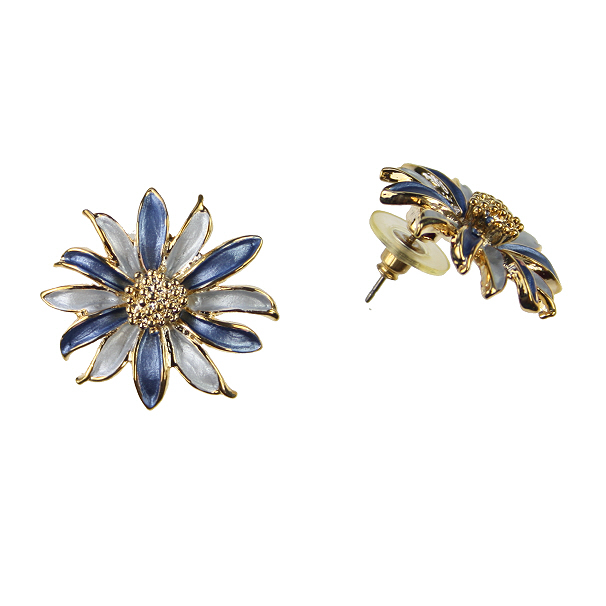 A stunning pair of spiky two tone blue flower head enamel earrings with gold stamens, for pierced ears. Real beauties when you need to look bloomin' lovely! Matching brooch available.